National Burn Awareness Week, observed the first full week in February, is a window of opportunity for organizations to mobilize burn, fire and life safety educators to unite in sharing a common burn awareness and prevention message in our communities. The 2019 Burn Awareness Week dates are February 3-9, 2019. Burn injuries continue to be one of the leading causes of accidental death and injury in the United States. 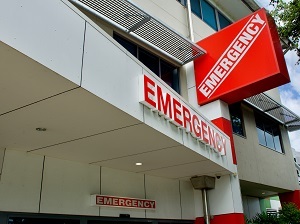 Between 2013 and 2017, more than 400,000 people were seen in Emergency Rooms for treatment of non-fatal burn injuries. In 2016 alone, there were 3,280 deaths from fire and smoke inhalation and another 40,000 people were treated in hospitals for burn related injuries. Most burn injuries occur at home but nearly 10% of all burn injuries do occur in the workplace. Burns are not just caused by getting too close to a fire or accidentally hitting the inside edge of the oven when you are cooking. The 2019 Burn Awareness Week Campaign is SCALD. Take a look at these surprising statistics related to this year’s theme. An estimated 376,950 scald burn injuries associated with consumer household appliances like stoves, cookware and bathtubs were seen in hospital emergency rooms in the US between 2013 and 2017. Hot water will burn skin at temperatures much lower than the boiling point. It only takes 3 seconds of exposure to water at 140 degrees to cause burns serious enough to require surgery. 85-90% of scald burns are related to cooking, drinking and serving hot liquids. Between 2007 and 2017 the proportion of burn center admissions due to scald burns has continued to increase each year. Scald burns comprise 35% of all burn injuries. Click the image below to read more about workplace fire prevention. The American Burn Association has put together a great toolkit you can use in your company or organization to share the message of burn awareness and prevention. Resources materials include a ideas on how your company can participate in Burn Awareness Week, fact sheets, statistics, an infographic, and social media posts. Also included are lists of prevention tips that you can share with employees and their families. You can access these materials on The American Burn Association website at ameriburn.org or by clicking the logo image below. Awareness campaigns, such as this one, offer a great opportunity to safety management, business owners and team leaders to highlight the importance and commitment the organization has to worker safety. It doesn’t take a lot of time, money or resources to participate. At minimum, consider an email from management to the staff, a brief safety meeting or a sign on the central bulletin board. If your organization does not yet have a safety meeting program in place, National Burn Awareness Week would be a great time to let your employees understand the organization’s commitment to safety by starting a regular safety meeting or toolbox talk schedule. Start right now and get a full suite of safety meeting topics, toolbox talks, and safety resources to expand, upgrade, or jump-start your safety meeting program. Visit weeklysafety.com or click the button below to find out more!